Are you in search of a solution that can be quite helpful in concealing your internet identity? Do you need a way to access some websites and applications without being watched by the so-called surveillance agencies? Well, if you do have affirmative answers for all these questions, you have enough reasons to use HideIPVPN as well. We hope you’d have heard about HideIPVPN, which is a widely popular solution to conceal your internet identity by means of Virtual Private Network Tunneling technology. Now, in this article, however, we shall have a detailed review of HideIPVPN in its variety of aspects, such as usability, plans and pricing, user interface, reliability etc. 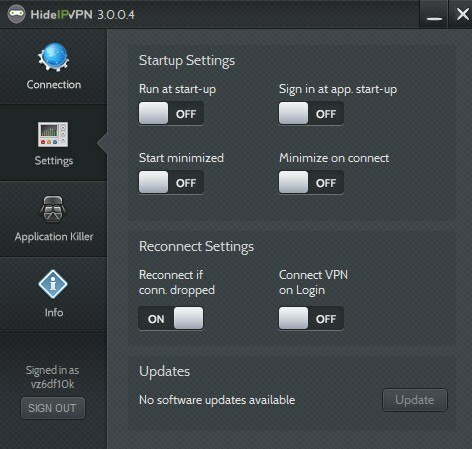 So, shall we start with an intro to HideIPVPN? As we said earlier, HideIPVPN, in basic level, a Virtual Private Network Tunneling solution that has a huge number of servers around the globe. In simple words, you will be able to access a variety of web services using the service. Also, HideIPVPN offers dedicated connection tools for both Windows and Mac devices, helping users establish connection in a few seconds, by simply selecting desired servers, location and country. Now, we hope you’ve a basic idea about HideIPVPN and we will move on to various aspects of the service. We understand that when it comes to a premium service like HideIPVPN, reliability has the predominant position! To fix this doubt, HideIPVPN has strengthened its section of reliability. One of the main features we can find is the 30-day money back guarantee of HideIPVPN, giving you the freedom to get back your money if you aren’t satisfied with the service. Talking of the speed, HideIPVPN is indeed superb, as it offers a relatively nice speed when compared with other VPN Tunneling providers out there. As per what other users say, they are able to receive good speed while browsing and downloading. Of course, when you want to reveal your identity without having a loss of your actual internet speed, this section of HideIPVPN makes sense. Of course, speed depends upon the protocol you have selected, since each protocol gives priority to each aspect, such as encryption level or consistency. Support range of HideIPVPN is quite extensive and you will find almost every popular device and platform supported by this VPN provider. As we said, a dedicated connection client is available for both Windows and Mac and one can use the tool to establish VPN connection in a few seconds, by selecting the desired specifications of connection, such as server location and server name. And, talking of support range, it includes Linux, Android, Apple iOS, some kinds of routers, Gaming consoles such as Xbox etc. The best part of HideIPVPN is that a user can find in-detail tutorial for setting up HideIPVPN in a device in the support section of service. 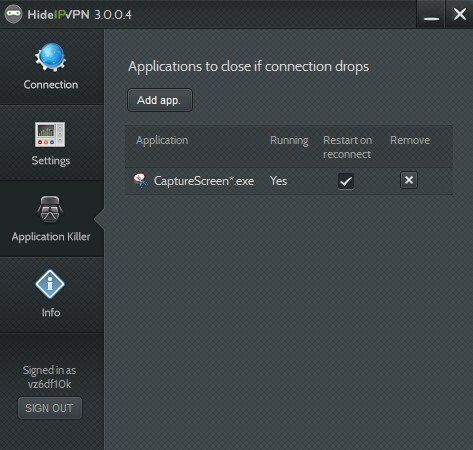 This, indeed, is something because even though there is no dedicated tool, you will find no trouble in connecting to HideIPVPN. So, we will give full marks for support section of HideIPVPN. Pricing section of HideIPVPN is just simply superb, as it lets a common user select the best plan for him or her within a few seconds. Although there are plans that can give you access to specific servers (say UK / US), the unlimited plan of HideIPVPN makes enough sense when you want to get maximum of what your money can get. Using this plan, you can access the huge network of servers that are spread over globe, and you have a great freedom in choosing IP and other aspects as well. In addition to these, HideIPVPN offers its standalone feature, named Smart DNS — a service you can use for unblocking content that is actually blocked in your region by DNS technology — and proxy with their ultimate plan, making the plan a steal-deal. Different customer care options are available from HideIPVPN. If you have some issues with sales, you can send an e-mail to the concerned person and you can get their response in a relatively smaller timeframe. In addition, if you are looking for really quick replies, you should have a look on Live Chat feature of HideIPVPN, and it offers a community-based support centre as well. In light of our experience with HideIPVPN for windows-based PCs, we can say that the tool is something great for you if you are not that familiar with usual VPN tunneling solutions out there. By means of that tool, you will be able to connect your PC to those VPN servers in single click, if you have selected details such as desired location and server that you want to use. In addition, it has some productive features, such as the one to shut down particular apps if there is a failure in connection. 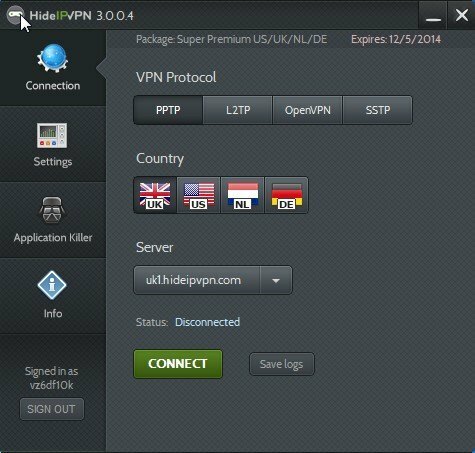 Considering all these, HideIPVPN for windows is must for non-techy users out there. We loved it — particularly, its User Interface and productive features. What about you? We are eager to know your opinion.